The Ghost by Monica McCarty is a 2016 Pocket Books publication. I was provided a copy of this book by the publisher and Edelweiss in exchange for an honest review. I have had this book for a little while, but I’ve put off reading it because it is the final book in the “Highland Guard’ series, and I really hate to see this series end. Alex Seton was once in the guard, loyal to Bruce, but the war has dragged on for so long, he lost faith, believing that unless he could convince the English to work on a truce, the war would never end. To that end, Alex switches sides, hoping to find a way to end the war. He has been commissioned to flush out the ‘The Ghost’, but he never anticipated running into Joan, Bella MacDuff’s beautiful daughter. He is shocked at how he reacts to Joan, but of course the couple can never have a life together, because her step-father would never allow her to marry a traitor. Can Joan convince Alex to rejoin ‘The Guard’, and fight once more for his own country? Alex is perhaps the gentlest member of ‘The Guard’, and melted my heart. He is known for his gallantry and is teasingly referred to as “Sir Galahad”. What he tries to do here is something that has happened in all wars, when weariness settles in and no solution seems forthcoming. However, the English are just as mulish and he soon finds his heart and loyalties are torn more than ever before. Joan, is an outstanding spy, and her boldness has only grown over time. But, it’s possible she is being watched and could be in grave danger. But, falling in love with Alex was never her intention, and it certainly complicates matters for her. What will Alex think if he ever discovers the truth? I really enjoyed this last installment as it has a sentimental tone to it. The story highlights the strain and long term agony of war, and the toll it takes, but was also one of the most romantic and sensual stories of the series. I think Joan helped Alex find his way back, and Alex proved to Joan that there really are good, honorable men in this world. I will really will miss this series. 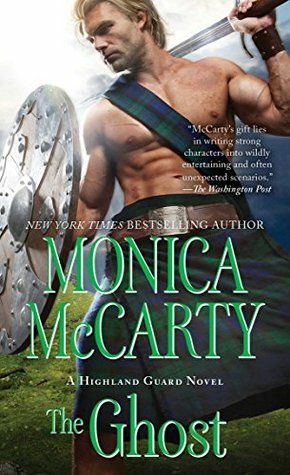 It is one of the very few that actually incorporated authentic historical detail, proving that historical accuracy enhances the romantic elements, and paints a realistic depiction of medieval days, the harshness of war, the grand love affairs, and the intense passions of the Scottish people. Overall, the series closes on a high note with a special happily ever after.